Who's your daddy with the patty? 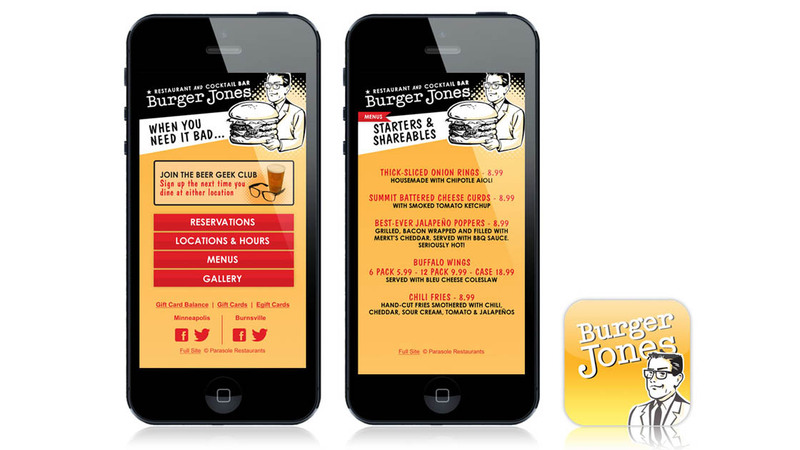 Built around the idea of burger maker as part mad scientist, part friendly neighborhood pusher, the Burger Jones brand trades on the public’s insatiable craving for a killer hamburger. 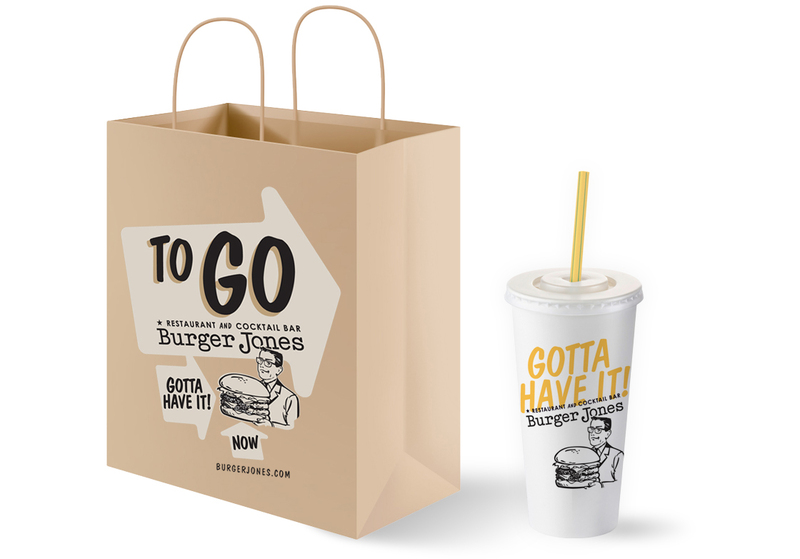 It took a few iterations to achieve the right level of snark in the Burger Jones logo. 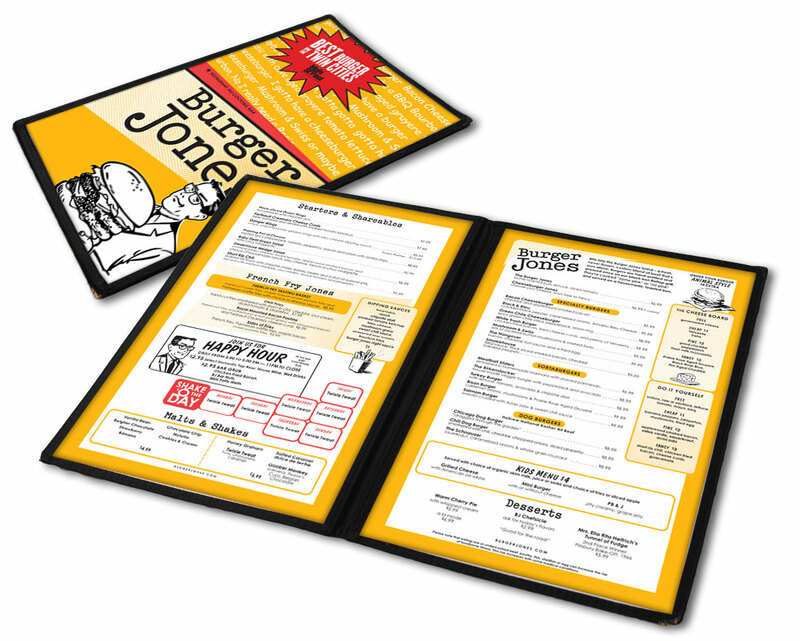 Once designed, menu files are turned over to the client for easy updating, printing and insertion of pages into menu sleeves. 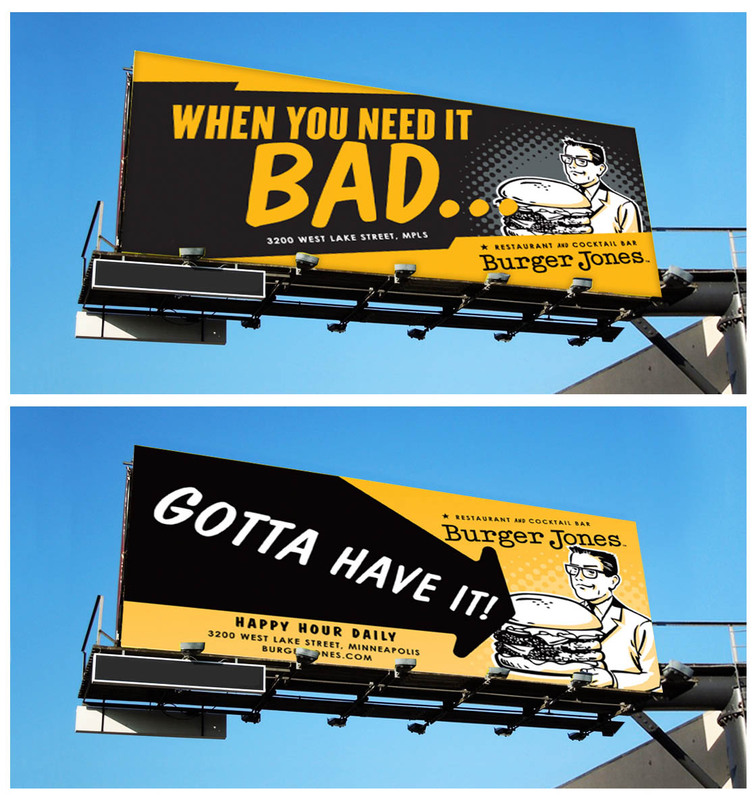 Burger Jones’ billboards, designed for quick and easy execution, aren’t dependent on food photography, though they can certainly accommodate it. The coasters get stolen so fast there currently aren’t any for us to photograph. But you get the idea. Email/ad templates are as simple as they are impactful. The Burger Jones gift card thickens your wallet and, used enough times, will fill out your pants. Employee t-shirts are also available for sale to the public. 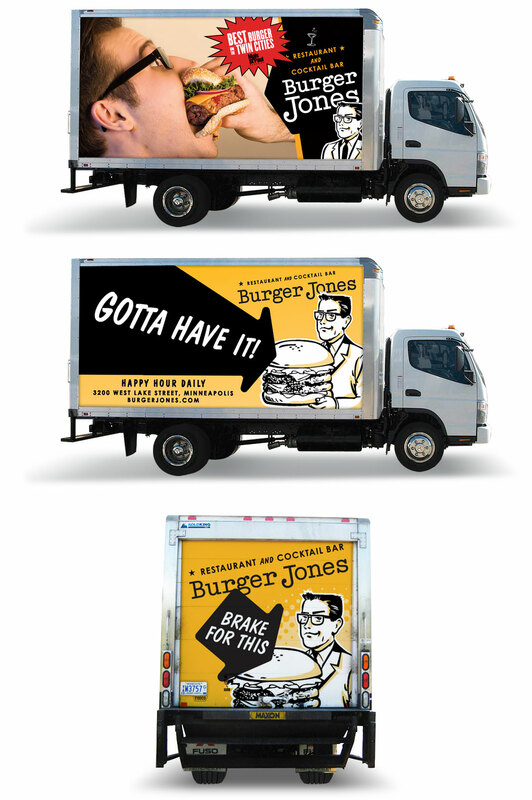 Burger Jones ads appearing on the bakery delivery truck of parent company Parasole Restaurant Holdings. 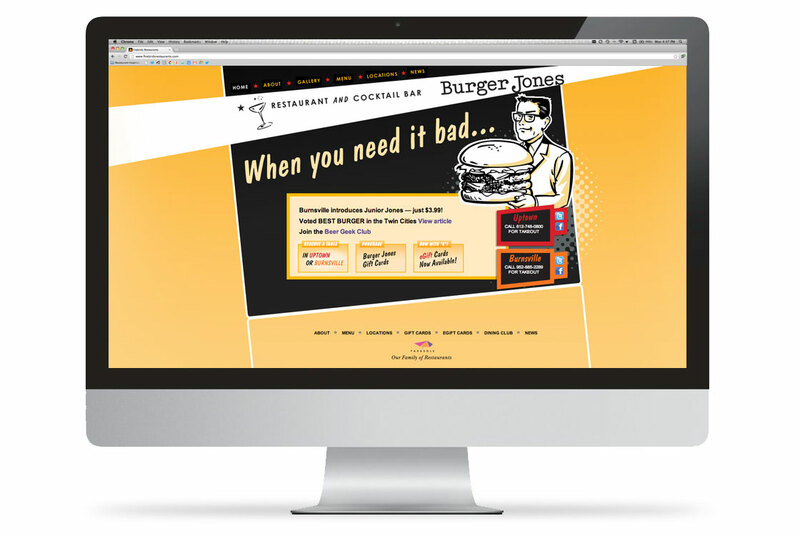 Burger Jones’ website is designed to accommodate online ordering. The mobile version of the website features key content from the desktop version.